To drive a vehicle, anywhere in a country, you need a valid driving license. The Assam government has made it pretty easy for the citizens to apply for it. The Regional Transport Authority of Assam has been given the responsibility for the distribution of the driving license in Assam. The complete application process is mentioned below for your help. Just follow the steps and you can easily apply for the Driving License in Assam. The age of the applicant must be 18 years before the application. If applying for a commercial vehicle, the age of the applicant must be 20 years before the application. Only the applicants who are applying for a license of a vehicle under 50cc can apply at the age of 16 years. 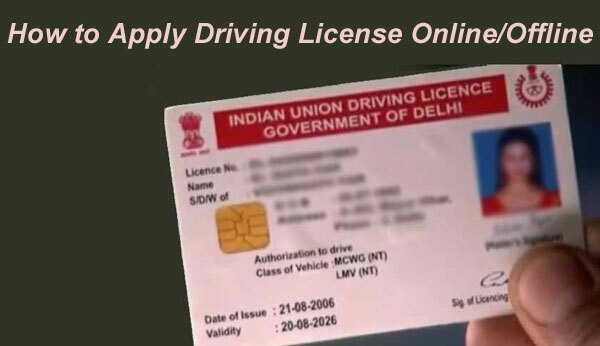 The application for the driving license must be done after 30 days and within 180 days of getting the learner’s license. Click on the option ‘Online’. Now choose Assam as the name of the state. You have to choose the option ‘Apply Online’ now. And there among many other options, choose ‘new driving license’ and then hit the continue button. A form will appear on your screen. You have to enter the details like learner’s license number, date of birth, name, etc. and click on the submit button after uploading the scanned copies of all relevant documents. Along with the documents, you must upload the scanned copies of photograph and signature too. After that, pay the fee online using a credit card, debit card, or net banking. After submission, an application number will be generated. Note it down. Visit the RTO with the application number and all original documents for verification. After verification, you can visit https://parivahan.gov.in/parivahan/ again to book a slot for Driving License Test. Appear on the appropriate date and time for the test. After passing the test, your Driving License will be issued. Address Proof: Voter ID card, PAN Card, Aadhaar Card, Passport, etc.